Download our app and simplfy your search. 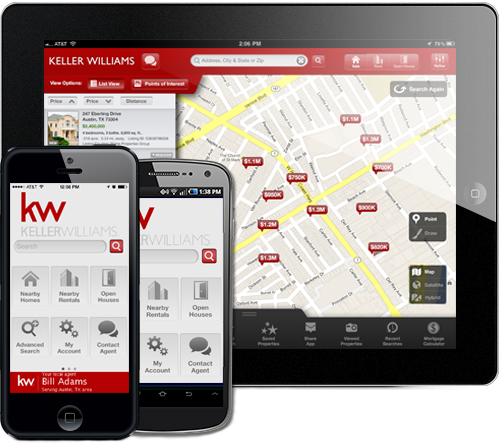 By using our app you get FREE instant access to local homes from any cell or tablet.Our app is available for Android, iPhone, or iPad and it gives you access to more than 4 million homes. affordability is a definite bonus to home buyers as they seek to purchase that perfect home in Idaho Falls. So, what does $159,000 buy in Idaho Falls? Option #1 is a brand new ranch-style spec home with 2,400 square feet, a 2-car garage, and a .25 acre lot. This home also has 3 bedrooms, 2 bathrooms, a living room, kitchen, and laundry room, all on the main level. The basement is unfinished, with only stud walls and a concrete sub-floor. Outside, this Idaho Falls new home has a graded lot with no lawn and no sprinkler system. Our dry East Idaho climate makes a fully automatic sprinkler system a necessity to most Idaho Falls home buyers. Option #2 is a 25-year old ranch-style home in Idaho Falls with 2,800 square feet fully finished. This home sits on a .25 acre lot with mature lawn, trees, and full automatic sprinkler system. Inside are 5 bedrooms, 2 bathrooms, and a 2-car garage. The living room and kitchen are on the main level, with the laundry in the basement. Also in the basement is a family room with a wood-burning fireplace. Fireplaces are a popular feature in homes in Idaho Falls, due to our quite cold East Idaho winters. Buying Idaho Falls real estate is an exercise in trade-offs. As illustrated in these two home buying options, the home buyer can purchase a larger home with more finished square footage and mature landscaping if they are prepared to live in an older home. The home buyer that is committed to purchasing a brand new home must be prepared to live in a smaller home with no landscaping. When one studies the Idaho Falls real estate market, either option is a great choice, it just depends on what is most important to the home buyer! “ Chalmers was great at listening to what I was looking for in a house and trying to find houses that met that criteria. He would also take note of what I like and did not like when looking at houses to add to that list. I appreciated his honest advice and expertise when it came time to make an offer. He has a great feel for the market in the Idaho Falls area. I would highly recommend Chalmers if you are looking to purchase a home. ” –Jessica B.